This symbol appears to have originated in the Middle East or possibly in India, where it is also found; however it is most well-known and popular in the Middle East. ‘The â€œLucky Wâ€ Amulet Archive’ and â€œthe Eye in the Handâ€ display a number of similar symbols from throughout the world, including several pre-Columbian North American examples. 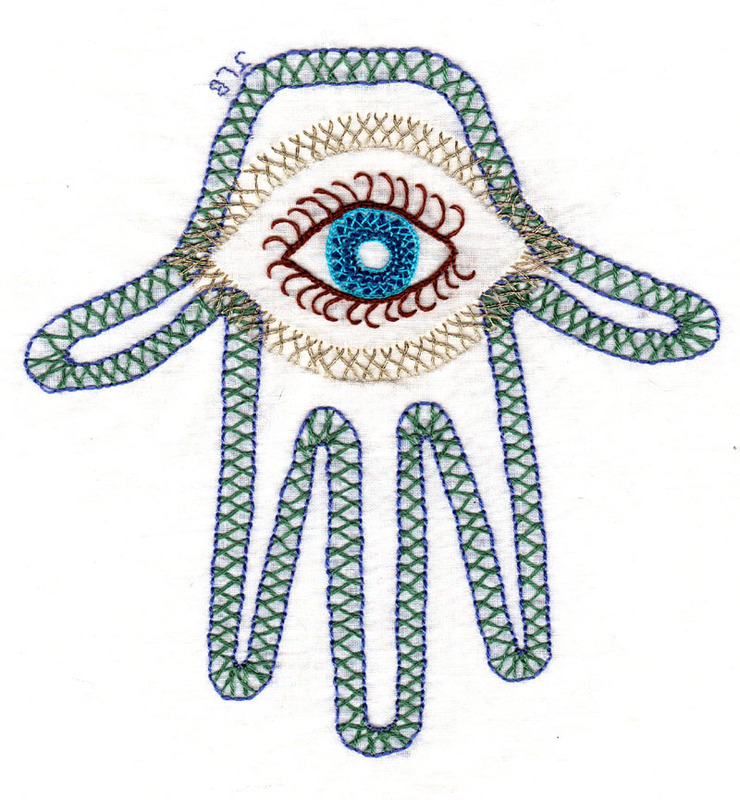 A similar symbol of a blue eye in a hand, also intended to protect from the evil eye, occurs in Turkish culture, but the focus is on the eye, not the hand and the Turkish blue eye also occurs on its own.